Three Democratic senators are calling for an investigation into why nearly 10 million phony net neutrality comments were allowed to be included on the record as part of the Republican majority decision to rescind the rules in early 2018. Sens. 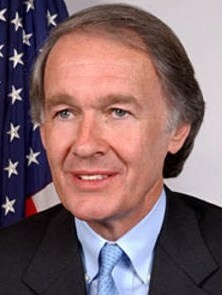 Ed Markey (Mass. 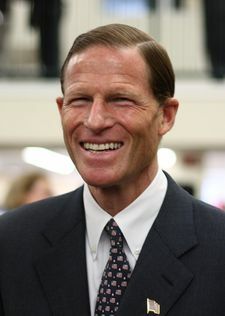 ), Richard Blumenthal (Conn.), and Brian Schatz (Hawaii), jointly signed a letter addressed to the FCC’s Inspector General claiming the net neutrality matter was likely clouded by industry-funded lobbyists and astroturf groups, possible Russian interference, and intransigence by Republican FCC officials unwilling or unable to investigate the phony comments. The New York Attorney General’s office has made significant progress in its own independent investigation, identifying 14 so-called “groups of interest” that could have subverted the net neutrality debate with fake comments from non-existent individuals, comments from those whose identities had been stolen, duplicate comments, and signatures on questionnaires and petitions that may have misled the public about the definition of net neutrality. New York subpoenaed industry-friendly special interest, lobbying, and public strategy groups including: Broadband for America, the Center for Individual Freedom, Century Strategies, CQ Roll Call, LCX Digital, Media Bridge, the Taxpayers Protection Alliance and Vertical Strategies. CQ Roll Call submitted “millions of individual comments” on behalf of a paid client in the broadband privacy docket. In 2014, Broadband for America claimed many community organizations, veterans groups, and small businesses were opposed to net neutrality, but in fact these groups had no position on the issue and in some instances claimed they never heard of Broadband for America. The Center for Individual Freedom was responsible for submitting comments that repeated the inflammatory phrase, “unprecedented regulatory power the Obama administration imposed on the internet.” A Wall Street Journal investigation found that 72% of those comments may have been falsely submitted. What policies are in place at the FCC to investigate and address fake comments? When did the FCC first become aware of the fraudulent comments? Was the FCC aware of the sources of these comments, and did they investigate them? Is the FCC fully cooperating with the NY Attorney General and GAO and is the agency turning over requested documents? If not, why? What is the status of FOIA requests at the FCC. Are they being handled in a timely and responsive manner? Were denials and exemptions appropriate? CRTC Embarrassed By FCC Net Neutrality Actions? Hype: Clear Cast -- A $38 'New Invention' That Eliminates Cable/Satellite Bills Forever?